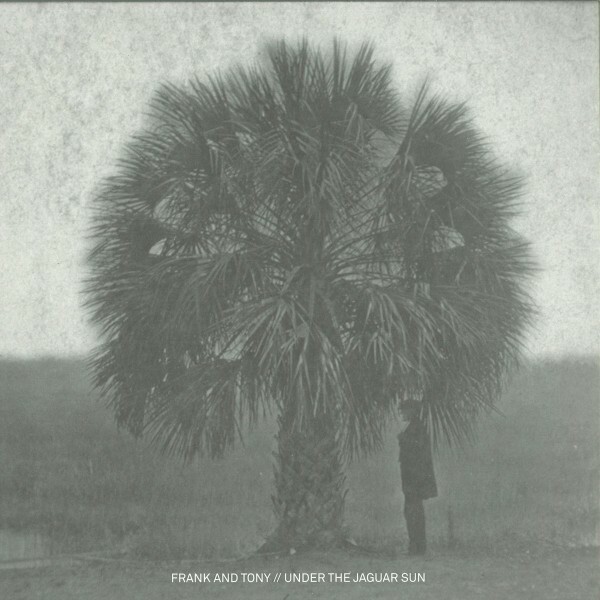 Fresh off the heels of the success of their Waiting Ground EP, the boys in black, Frank & Tony, are skating back onto the scene with another four track summer stomper, Under the Jaguar Sun. The A-side starts things off with the titular track, a rollicking deep house number primed for sunset raves. A bouncing and lush bass line is the back bone of the track, as crisp hi-hats, distant, yearning pads, and shimmering bells propel dancers forward into eyes closed euphoria. Things ramp up quickly into peak-time ecstasy on the Breakaway edit of Solo Andata’s A Ballet of Hands. A whirling dervish of delicate music boxes, bowed guitars, delicate music boxes, and distant horns swirl around and weave in and out between a skipping drum pattern, pushing and pulling alongside a gruff and stuttering bass, perfect for those late night rooftop ventures. The B-side takes listeners into early morning after hours territory, starting with the groovy Difficult Loves. An airy and luscious double bass keeps things bouyed as introspective pads shimmer alongside pillars of aquatic synths. Backed by a classic, shuffling NY House drum groove, this one is best served late into the evening. The boys wrap things up on a high note with the latin vibes of Sargasso. Crisp tambourines keep things light as dense kicks and a bass line deeper than the deepest canyon pull dancers deep into the floor with a warm embrace. The star of the show is the bouncing and earnest synth line, which is partnered up with a pair of playful toms in a game of cat and mouse, making this track a weapon anywhere you place it in a set.